The U.S. will never go back on a gold standard. 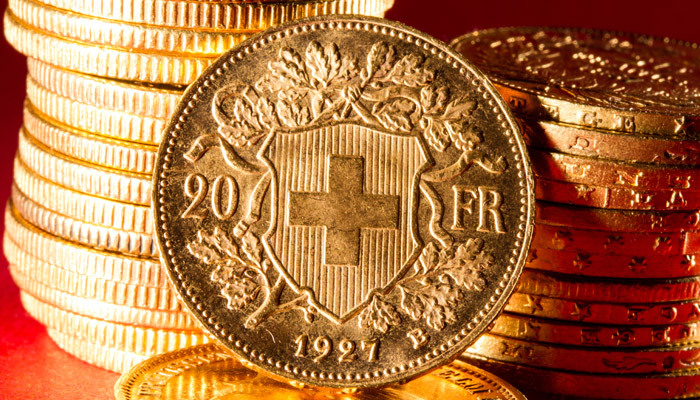 The notion that a U.S. Dollar backed by gold would solve our financial problems is pure folly. Why? Because, if the U.S. Empire didn’t abandon the gold standard in 1971, it would have collapsed decades ago. Unfortunately, some of the top experts in the precious metals community continue to suggest that revaluing gold much higher, to say…. 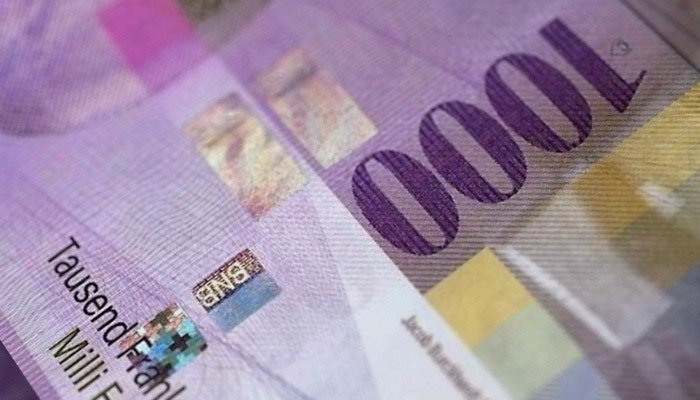 $15,000-$50,000 an ounce, would bring confidence back into the Dollar. Not only will this not happen, it wouldn’t save the Dollar even if it did. Why? Well, that is the $10.5 trillion question, isn’t it? I provided that exact $10.5 trillion figure for good reason… which I will get to shortly, but the innate value of the U.S. Dollar died decades ago and will never come back. Basically, it is a DEAD MAN WALKING. However, the market hasn’t figured that out yet, but it will. It is just a matter of time, and time is running out. As we can see in the chart, when the price of oil fell below $100, it gutted the oil and goods producing countries economies. Thus, these countries had to sell off their Reserves (U.S. Treasuries and etc) to offset the losses from a collapsing oil price. 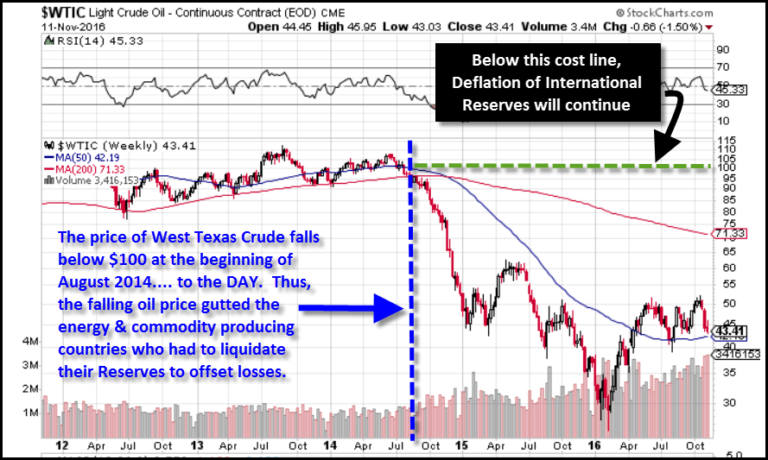 Indeed, this was the very DEFLATION Hugo Salinas Price stated in his article. Since that article, Hugo and I have had several email exchanges. In one of our exchanges, he brought to my attention the amount of gold the U.S. would have had to liquidate just to import one million barrels of oil per day. Looking at his calculations, it turned out to be one hell of a lot of gold. 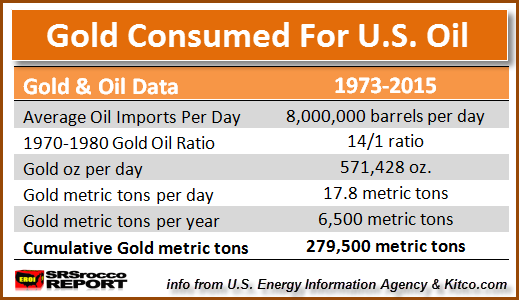 So, I decided to look into this in more detail to get a better idea of HOW MUCH GOLD would have been liquidated and sold into the market to support the U.S. Empire’s insatiable oil consumption. Let me tell you, it’s a great deal more than I ever imagined. 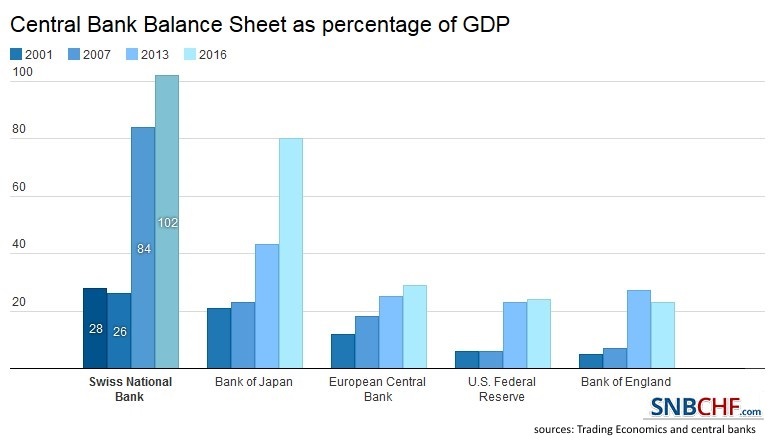 While this may not seem like a lot when we compare it to our highly inflated Gross Domestic Product (GDP) of $14.2 trillion in 2008, it turns out to be one heck of a lot of gold when we consider it in respect to our balance of trade deficits. 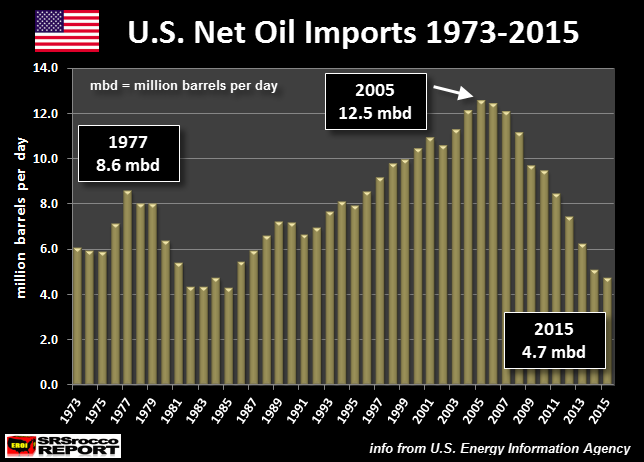 As we can see from the chart above, U.S. net oil imports peaked at 12.5 million barrels per day (mbd) in 2005. According to the EIA, the U.S. consumed 20.8 mbd of petroleum in 2005. Thus, our net oil imports of 12. 5 mbd were roughly two-thirds (60%) of our total demand that year. Furthermore, U.S. net oil imports totaled 124 billion barrels from 1973 to 2015. 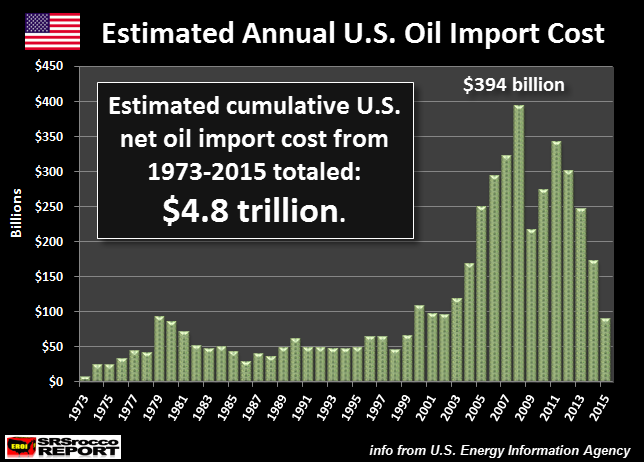 Again, the total Dollar amount of these net oil imports during that time period was $4.8 trillion. Even thought that figure may not even raise an eyebrow today, if we consider what it means in “Gold terms”, it’s off the charts. If we include the global gold mine supply from 2012 to 2015, it totaled 12,200 metric tons. So, if we add that figure to the world gold holdings of 171,300 metric tons, we end up with a grand total of 183,500 metric tons. Even though this stirs up fanciful “conspiracy theories” such as Yamashita’s massive gold treasure as well as the supposed hidden Nazi gold hoard, the world cannot hold more gold than it could produce. Well, maybe it could if we had the help of Aliens from distant planets. While some readers may actually believe Aliens would come down here and mine gold for us, logic suggests that they would likely have much more important things to do with their time. 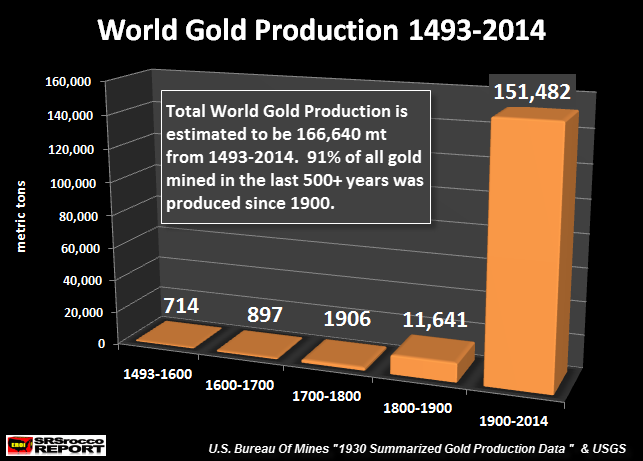 Anyhow, the chart above reveals that 166,640 metric tons of gold were mined between 1493 and 2014. If we add what was mined during ancient times, it is logical to assume (estimate) that the world may contain the 183,500 metric tons of gold. Unfortunately, even though logic can easily destroy lousy conspiracy theories, folks continue to believe them as fact, regardless. When I get into a logical debate with someone who continues to believe in a lousy conspiracy, I shut up, because there is no use in going further. While conspiracies do take place in this crazy world of ours, not everything is a conspiracy. That being said, let’s look at how much gold the United States would have had to liquidate to pay for its net oil imports. The table displays the gold price, oil price and the ratio on the right. 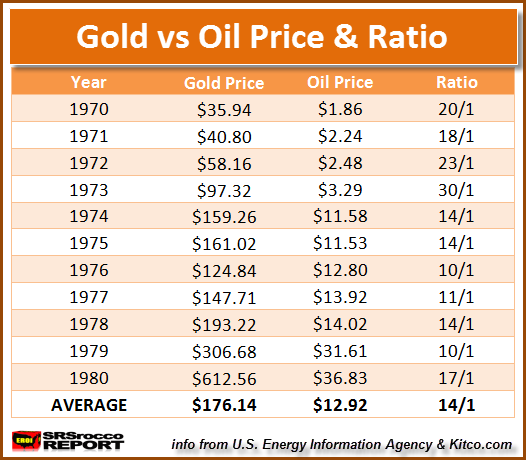 If we average the Gold-Oil price ratio for the 1970’s decade, we can see that one ounce of gold could purchase 14 barrels of oil. Yes, that is correct. If the United States stayed on the gold standard, it would have had to fork over 279,500 metric tons of gold to pay for its net oil imports during that 43 year period (1973-2015). 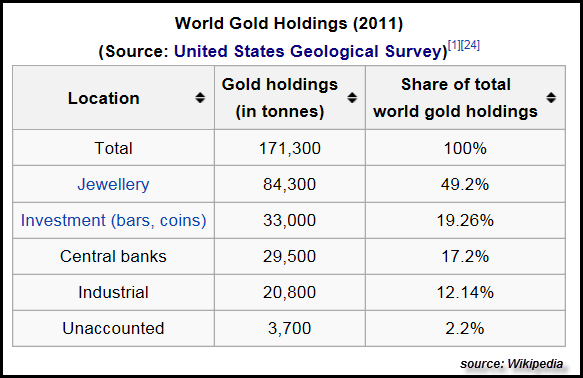 This is much more than the 183,500 metric tons of known world gold holdings. Matter-a-fact, the U.S. would have needed almost 100,000 metric tons more of gold to pay for its net oil imports. This is precisely the reason President Nixon had to abandon the convertibility of the U.S. Dollar into gold. While there are more factors to consider in the dropping of the Gold-Dollar Peg in 1971, oil was a leading cause. Okay… I can hear it now from some readers. Yes, it is true that the United States took this oil and created goods or services that they exported. So, it makes some sense that not all of of our net oil imports would consume 279.500 metric tons of gold. However, when we look at additional information… the situation is even worse. To make those who “doubt” the figures above, I decided to research the U.S. balance of trade since 1960. When I added up the total net trade deficits, I was more surprised than the figure of the net oil import cost. Well, look at that. In 1971, the U.S. began to suffer trade deficits. Even though the United States enjoyed a few more trade surpluses in 1973 & 1975, it ran consecutive deficits for the next 40 years, starting in 1976. You will notice the trade surpluses were quite tiny compared to the deficits, especially after 2000. If we add up all the U.S. annual trade deficits from 1976 to 2015, it totaled an amazing $10.5 trillion. Basically, the U.S. Empire was able to bamboozle the world by exchanging worthless U.S. 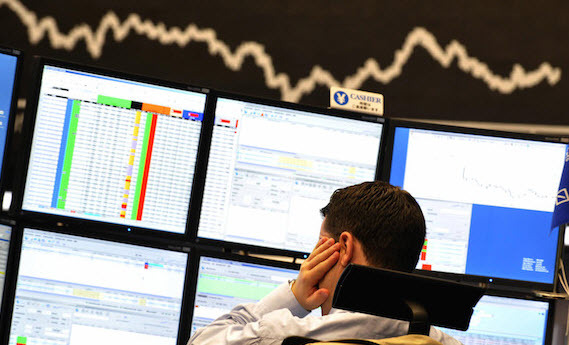 Dollars or Treasuries for energy or real goods and services. Furthermore, the $4.8 trillion in U.S. net oil imports from 1973-2015 accounted for nearly 50% of the total U.S. trade deficit of $10.5 trillion. Which means, the U.S. 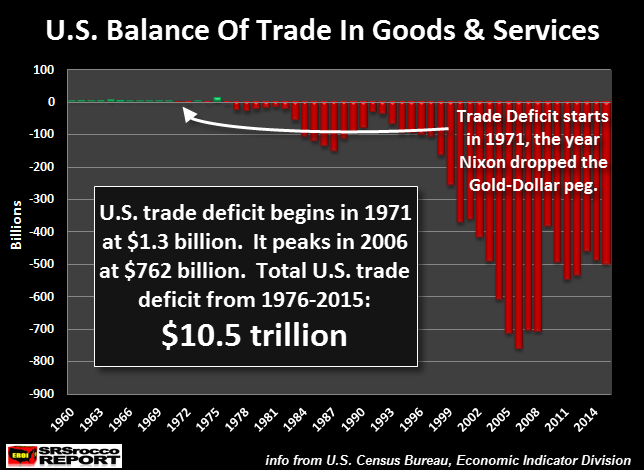 Empire would have needed to FORK OVER even more gold if we consider the total cumulative $10.5 trillion trade deficit since 1976. Does anyone actually believe the U.S. is going to make good on its $10.5 trillion in trade deficits. 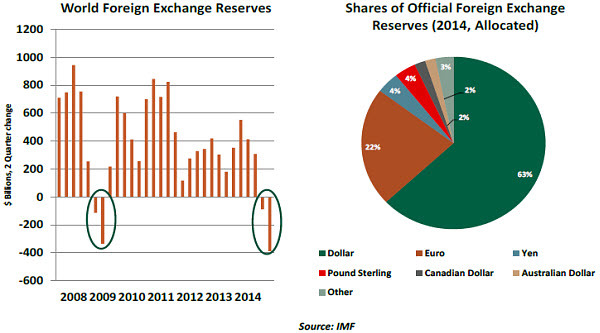 I am making an assumption here (as I have not taken the time to look at the data), but I image the $11 trillion of International Reserves shown in Hugo Salinas Price’s chart above, are mostly accumulated IOU’s from the U.S. Empire. 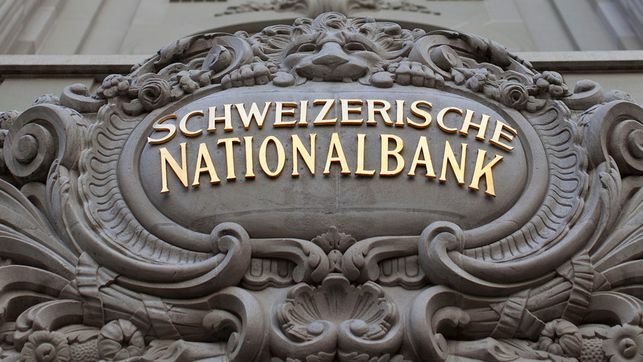 Thus, 63% of the $11.6 trillion equates to $7.2 trillion in U.S. Dollar denominated International Reserves. Now, where is the other $3.3 trillion of U.S. IOU’s to account for the $10.5 trillion in the total U.S. trade deficit, I have no clue. As I stated in the beginning of the article, the U.S. Empire would have been TOAST decades ago if it didn’t drop the Dollar-Gold peg. In order for the United States to continue spreading its SUBURBAN LEECH & SPEND ECONOMY, it desperately needed to come up with a better way to do business than to fork over the rest of its 8,100 metric tons of gold reserves. Which means, the U.S. Government had to drop the gold standard, or it would have gone the way of present-day Venezuela decades ago. 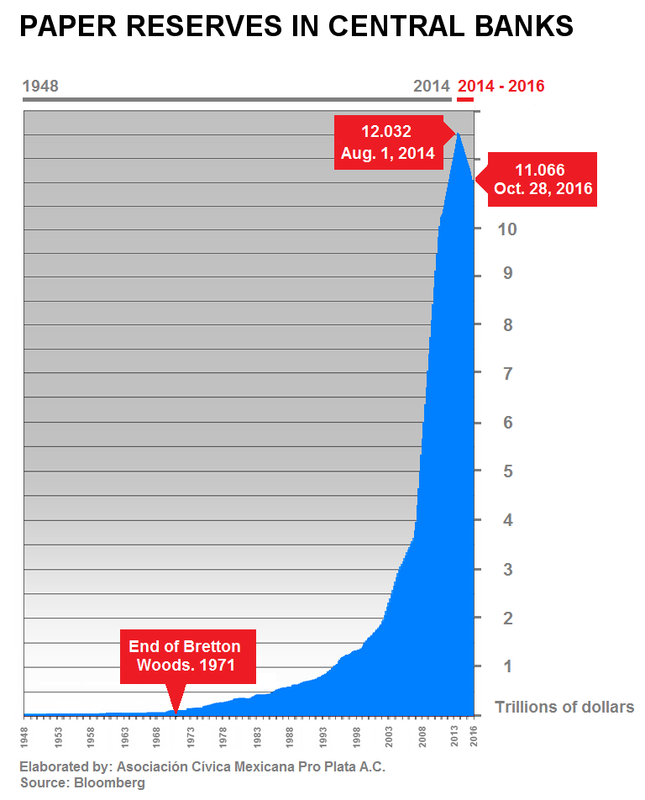 That may seem like a stretch to some readers, but keeping the world believing in the “ALMIGHTY U.S. DOLLAR” is job number one for the U.S. Treasury and government. Now, I am not trying to be harsh against the U.S. government for its U.S. DOLLAR DIPLOMACY POLICIES… I am just stating the facts as I see them. When we look at the data and figures presented in this article, it is clear to see how vital it was for the United States to continue importing oil, without the cost in REAL MONEY… GOLD. Again, the only way the U.S. 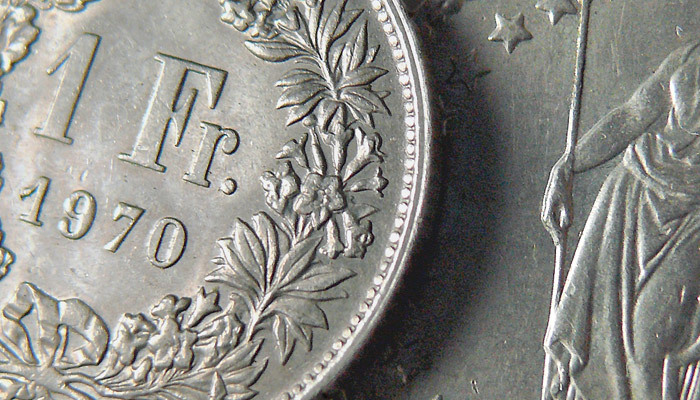 Empire could continue business as usual, was to exchange worthless FIAT DOLLAR IOU’s for oil, rather than fork over gold that it didn’t have. Especially, when the figures show that the U.S. Empire needed 279,500 metric tons of gold just to pay for its net oil imports. 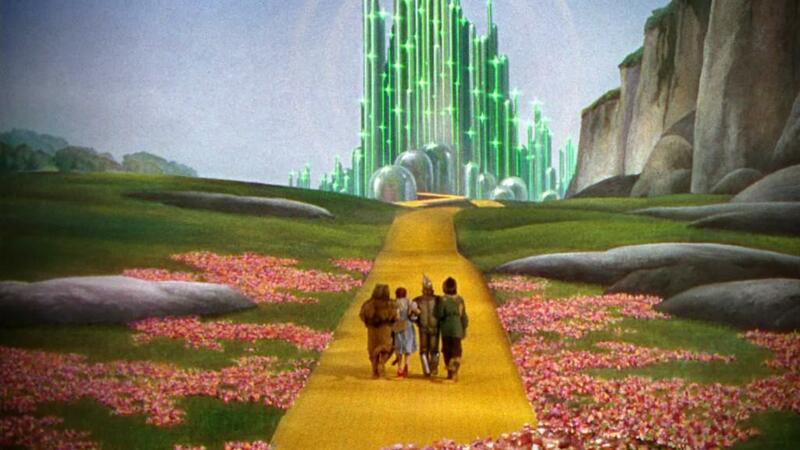 This turned out to be 100,000 metric tons more gold than the world holds. 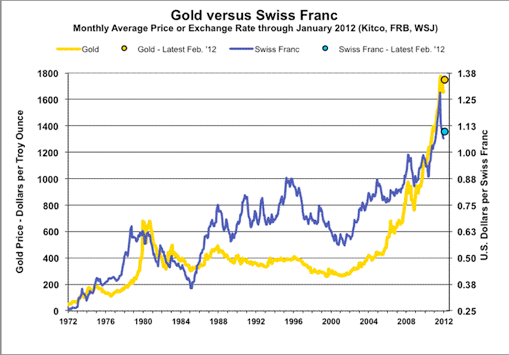 This is why the Federal Reserve and Central Banks continue to manipulate the paper price of gold. Why? Because, the day the MUSIC FINALLY STOPS, the world will realize there is only one gold chair for the 100 people holding paper IOU’s.